On both big and small stages, you'll find holiday shows and performances this winter. A mix of classics and new productions can be found in the roundup below. There are musicals, theater shows, concerts and more top picks. Maestro Michael Krajewski returns to lead an all-new lineup, including a special musical version of How the Grinch Stole Christmas. The Philly POPS Festival Chorus, the Philadelphia Boys Choir, the award-winning African Episcopal Church of St. Thomas Gospel Choir and singer Justin Hopkins will join the 65-piece POPS orchestra on stage. 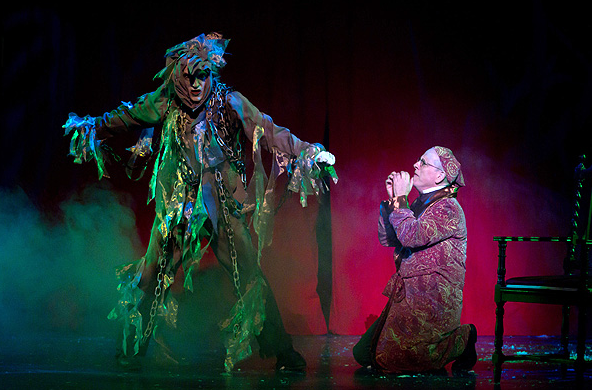 Each year, families head to Walnut Street Theatre to watch as Ebenezer Scrooge receives a visit from the ghosts of Christmas past, present and future. 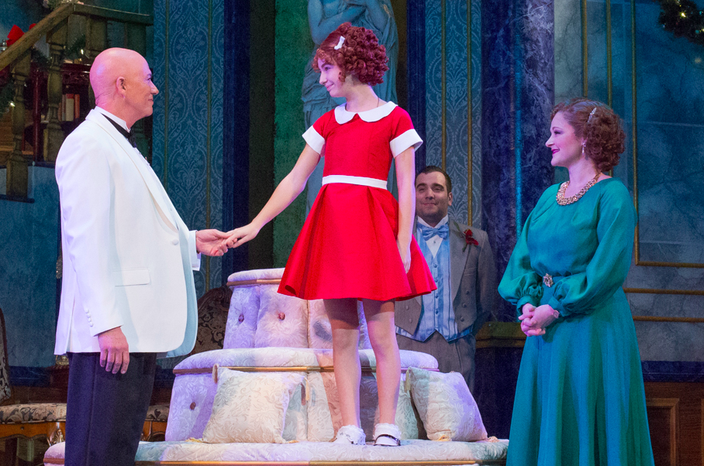 The beloved musical "Annie" is based on the popular Harold Gray comic strip "Little Orphan Annie," with music by Charles Strouse, lyrics by Martin Charnin and book by Thomas Meehan. The Ocean City Theatre Company will put a musical spin on the timeless story by Charles Dickens. The musical remains true to the story with three ghosts leading the selfish Ebenezer Scrooge through his past, present and future. Performances will take place at the Ocean City Music Pier. For many families, attending "The Nutcracker," performed by the Pennsylvania Ballet, is a holiday tradition. The Sugarplum Fairy, the Mouse King and the Nutcracker Prince dance their way through the timeless story. "The Glorious Sounds of Christmas"
The program includes "God Rest Ye, Merry Gentlemen," "I'll Be Home for Christmas," "Oh Holy Night" and more classics and seasonal favorites. The conductor this year will be Bramwell Tovey. 2 p.m. or 7 p.m.
"My Very Own Polar Bear"
Kids will love this new comedy about the friendship between a girl and her (real-to-her) polar bear. "My Very Own Polar Bear" tells the story of a life-changing Christmas present. A runaway girl takes refuge in an abandoned theater on Christmas Eve, where she meets the Ghosts of Christmas. The orchestra draws inspiration from rock, heavy metal and classical music. 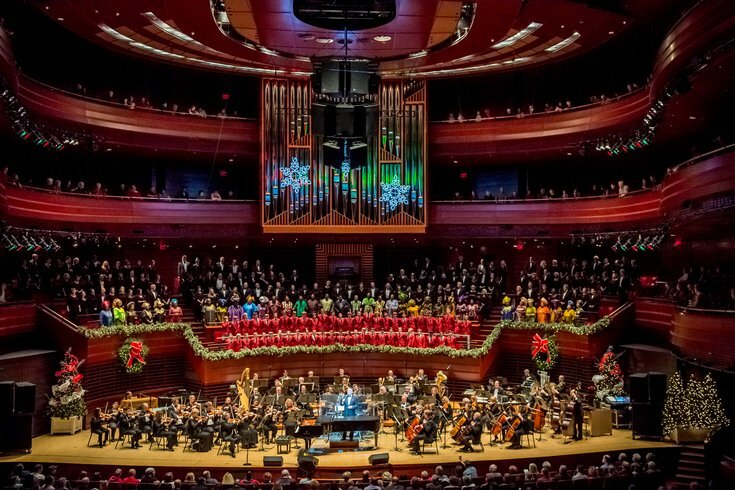 3 p.m. or 7:30 p.m.
"With its blend of sophisticated music and deep spirituality, 'Messiah' is the perfect accompaniment to Christmas, and the ideal antidote for the hustle and bustle of the holiday season," according to the Philadelphia Orchestra. This year, there are two performance dates. Disney on Ice's "Dare to Dream"
This year, Moana makes her Disney on Ice debut. Characters from "Frozen," "Rapunzel" "Cinderella" and "Beauty and the Beast" will also make appearances. Mickey and Minnie will host the event.